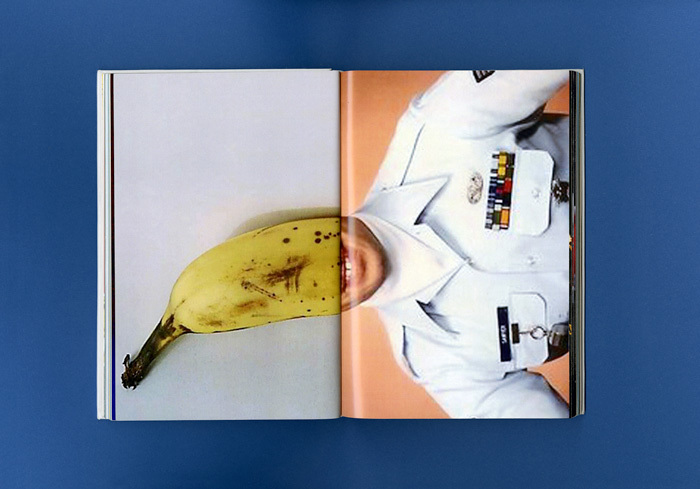 Aude Debout & Caroline Lollo. 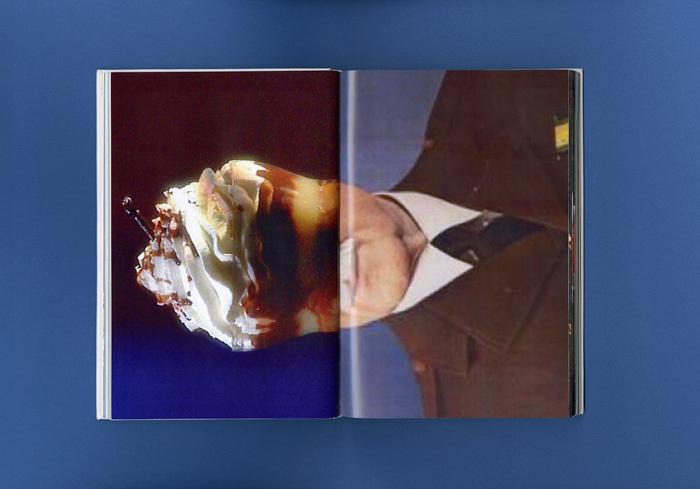 2012, 14 × 21 cm, 144 pages, self-initiated. 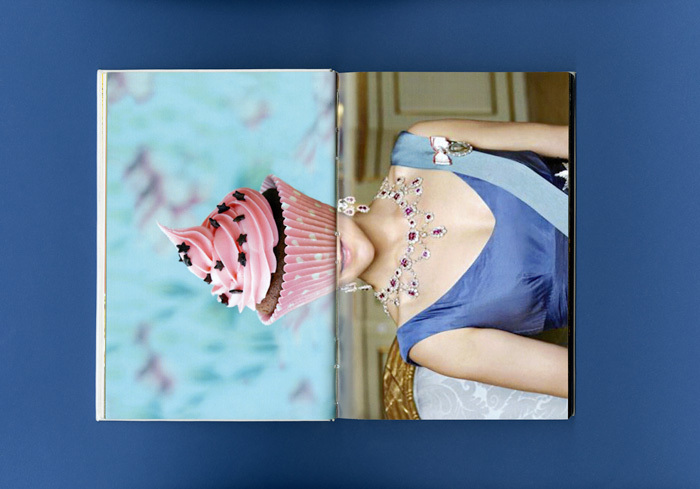 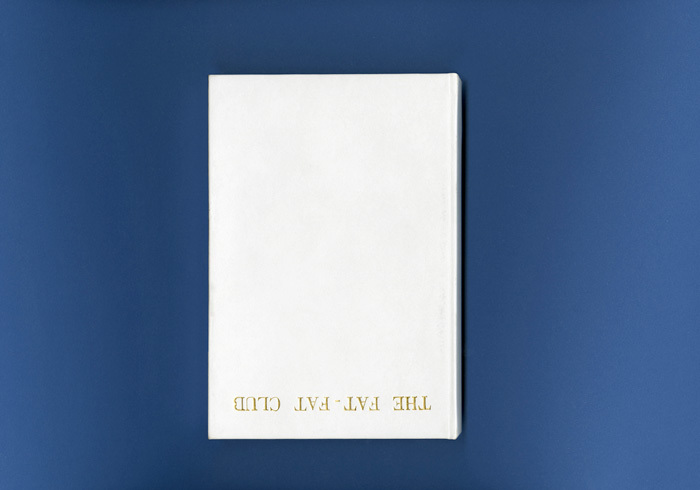 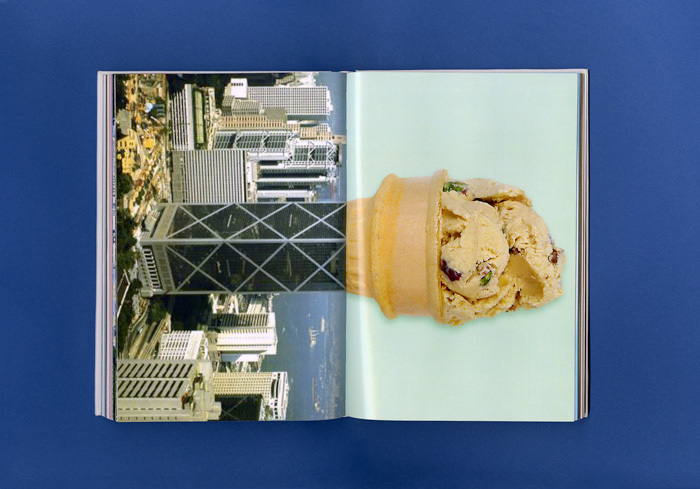 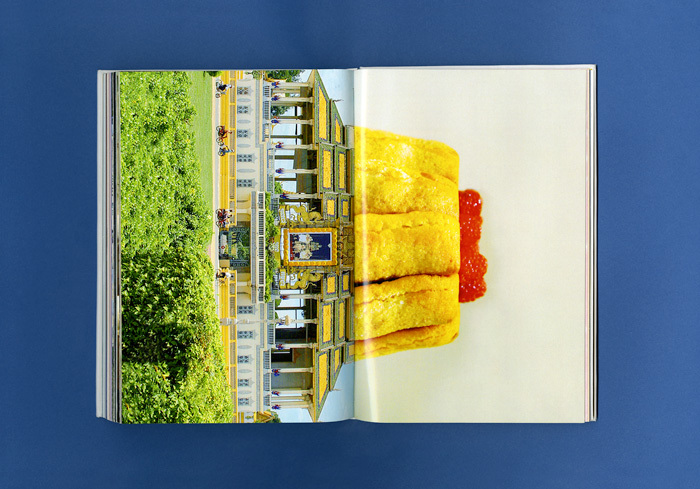 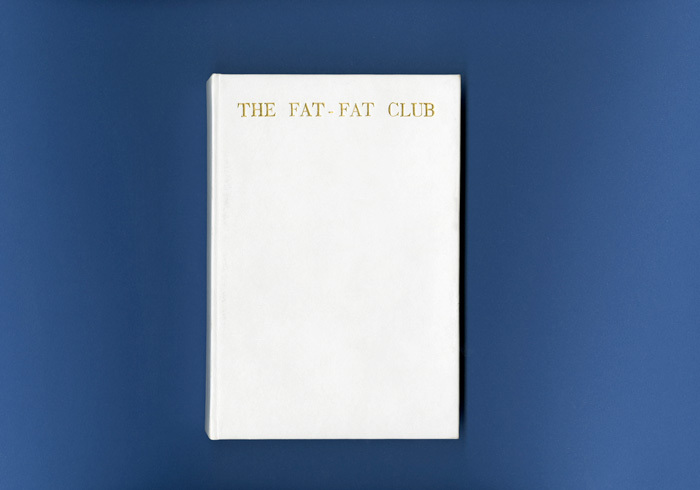 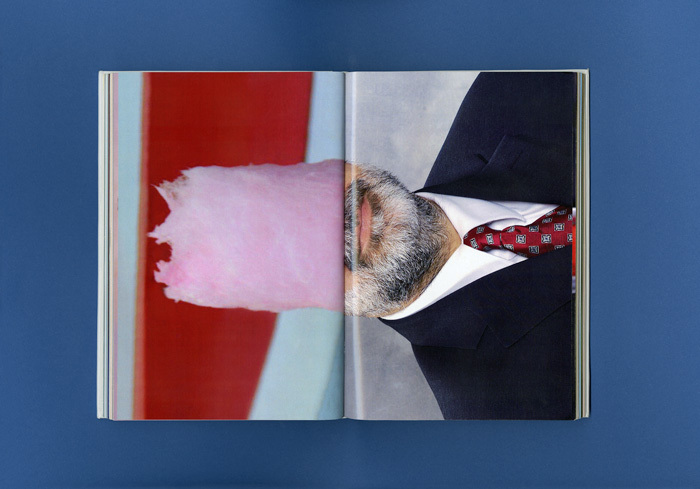 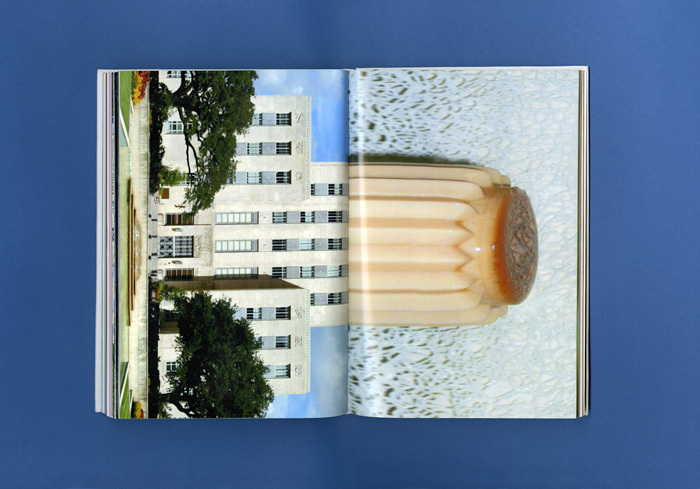 The Fat-Fat Club is a visual essay on the materiality of the book as a system. 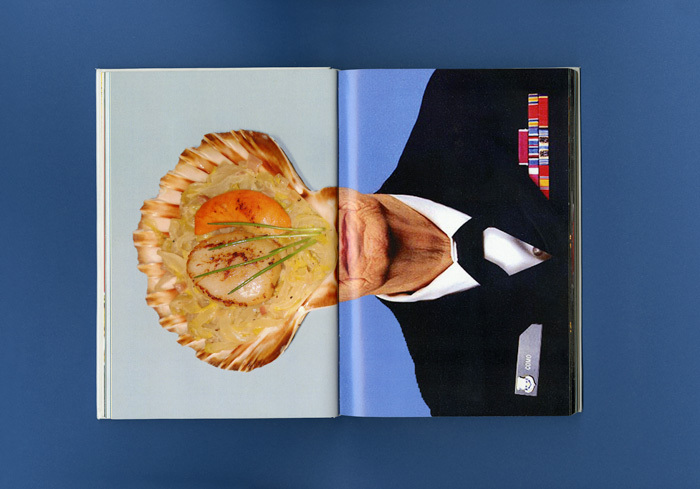 By using the central fold as a layout excuse, the reader is invited to create one image starting from two. 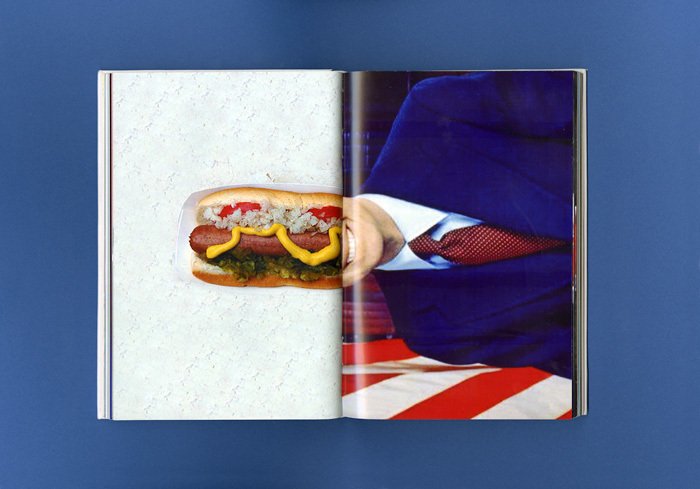 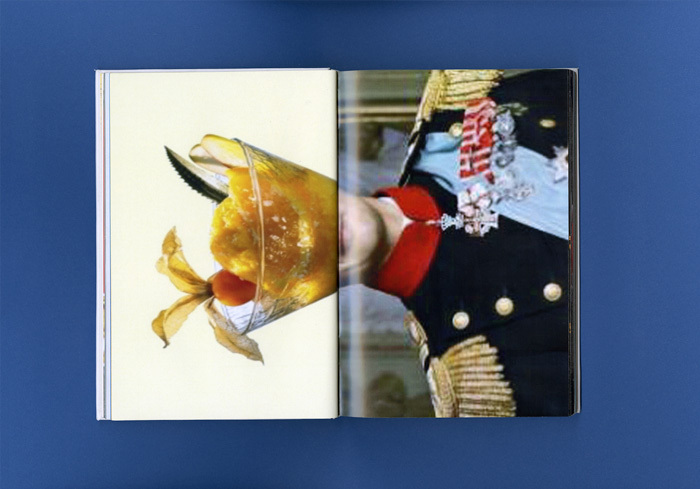 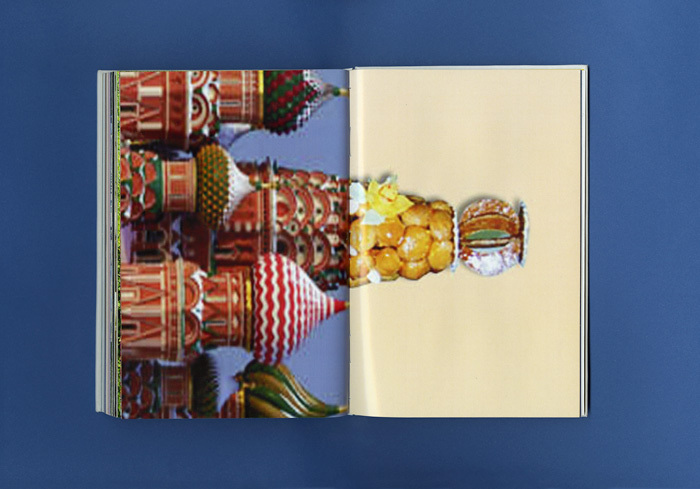 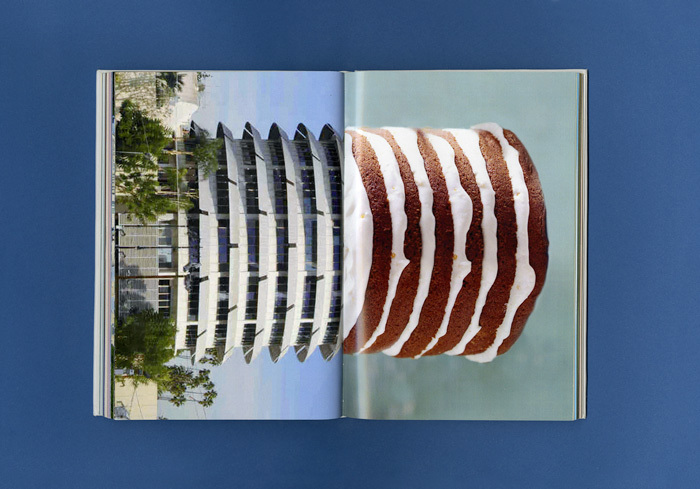 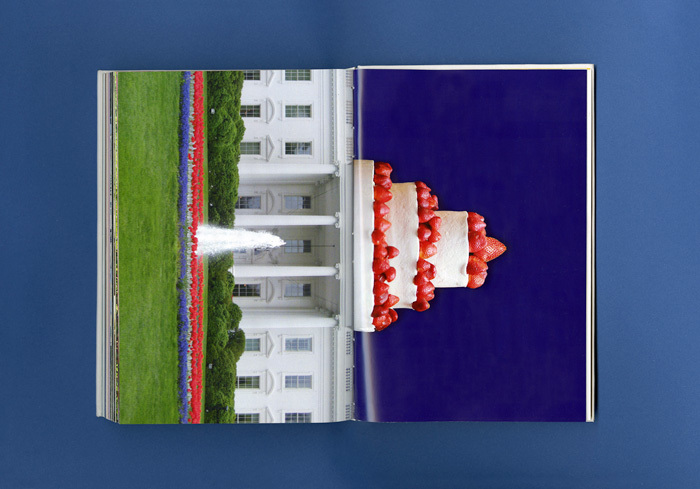 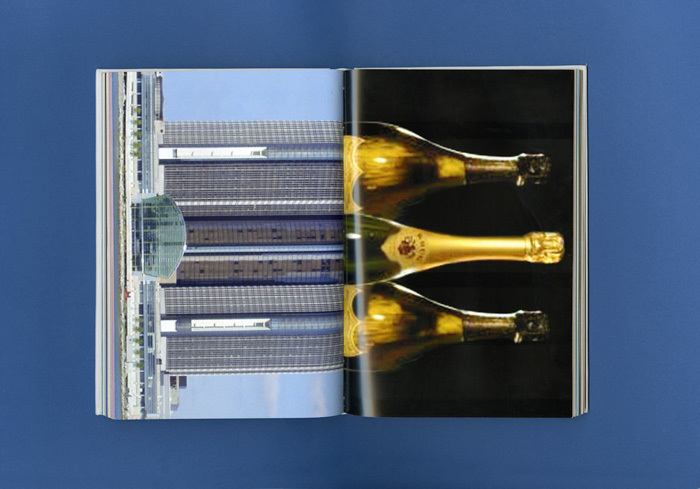 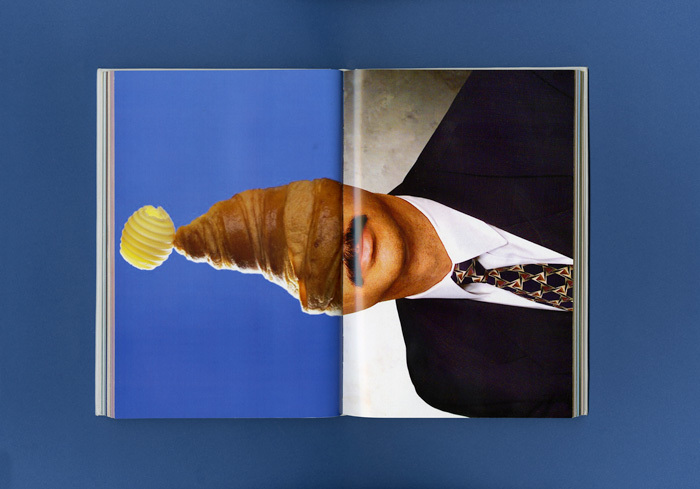 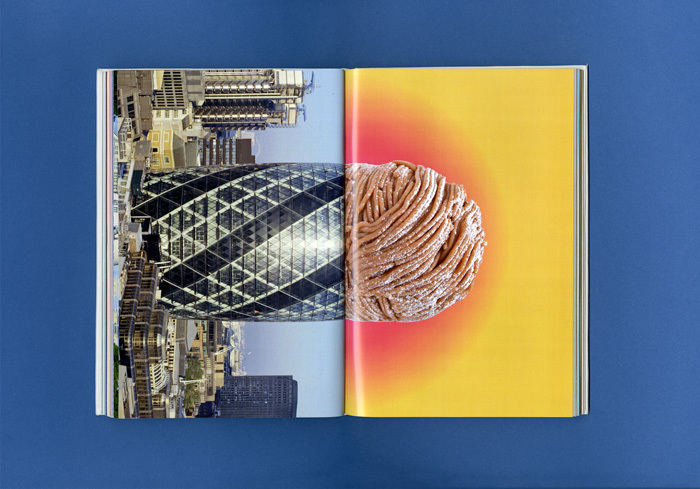 Easy-to-digest book of an imaginary club of powerful symbols involving important people and buildings, it simply aims to amuse with a certain irony by re-portraying them as fat food hybrids.